U pupees makin me larf!!!! Hardy har har. Visit regularly 4 fun! Hannah on a hairy tarantula! Hannah on u r all mine! 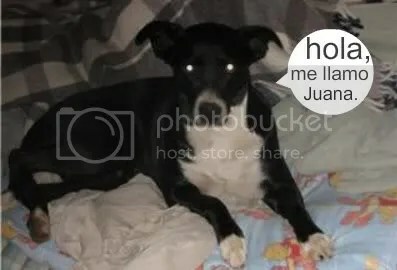 Holla Juana. [I hope I can use the familiar ‘tu’ here]. Tu es muy guapa. Gracias por visitar my site. Si, si puedes usar “tu.” ¡Gracias por tu comment!